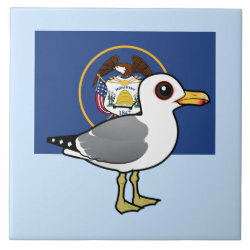 The California Gull is the state bird of the great state of Utah. 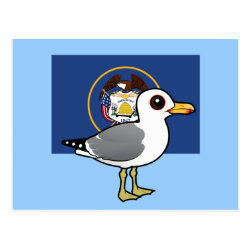 Gulls saved the people of Utah during a cricket plague in 1848. 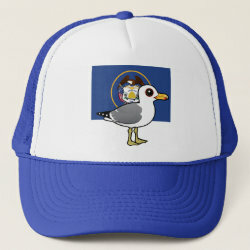 The gulls ate the insects and saved the people from losing all more... of their crops and facing starvation. 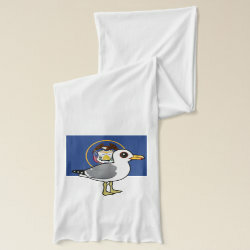 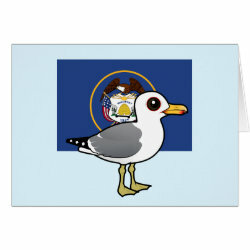 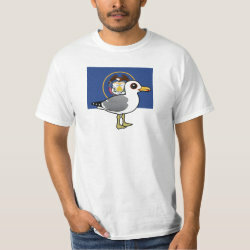 This cute original design features a Birdorable California Gull in front of the state flag of Utah.